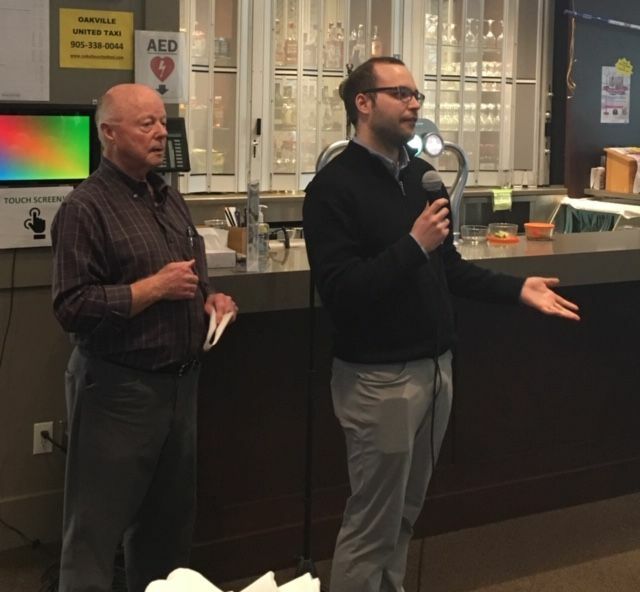 The second annual Jerry Sproat Senior Men's Bonspiel was held on Wednesday, March 6th, 2019 at the Oakville Curling Club. Again this year, Oak-Land Ford was the title sponsor. As a new feature this year, Oak-Land Ford chose a charity - Food4Kids Halton. Food4Kids Halton partners with elementary schools in the area to assist children who do not have enough to eat. Our bonspiel was successful in raising approximately $1500 in cash and gift card donations from Oakville area grocery stores. In addition, our food drive netted nearly $1300 in donated food goods, all going to Food4Kids Halton. We had a full complement of 32 teams. There were many teams from Oakville Curling Club but we also had teams from Milton, Mississaugua, Dixie, Chinguacousy and St. George's. 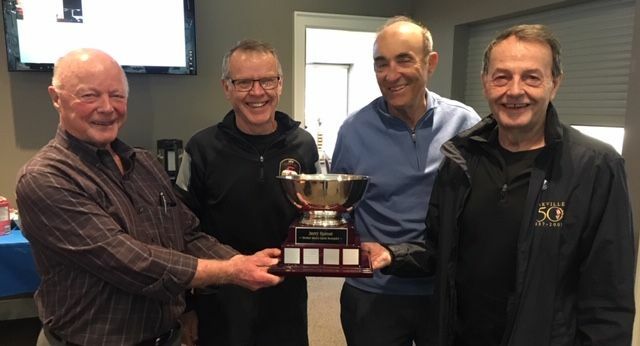 The overall winning team for the second year in a row was the Bob Edmondson's rink with Bob as skip, Don Moseley-Williams as vice, Michael Skafel as second, and Grant Clark at lead. Again this year, Jerry Sproat, our bonspiels namesake and a great friend of curling, was in attendance. In closing, we again would like to thank Oak-Land Ford and their representative Dylan Istead, for their generous support; as well as Gayle Kabbash from Food4Kids Halton who was present on their behalf. Finally, our committee's work was made much smoother thanks to the invaluable assistance of the club office staff - Case Base and Michelle Laidlaw, and special thanks to our hard working ice crew - Scott Foster and Kevin Mooney, for the fantastic ice as always. Save the Date: Next year the event will be held on Wednesday March 4th, 2020! Welcome message from Dylan Istead - representative from Oak-Land Ford! Just some of the food that was collected - thank you so much for all the donations! Shiny new wheels were on display from Oak-Land Ford! Committee chair - Fred Allo (left) and representative from Oak-Land Ford - Dylan Istead (right)! 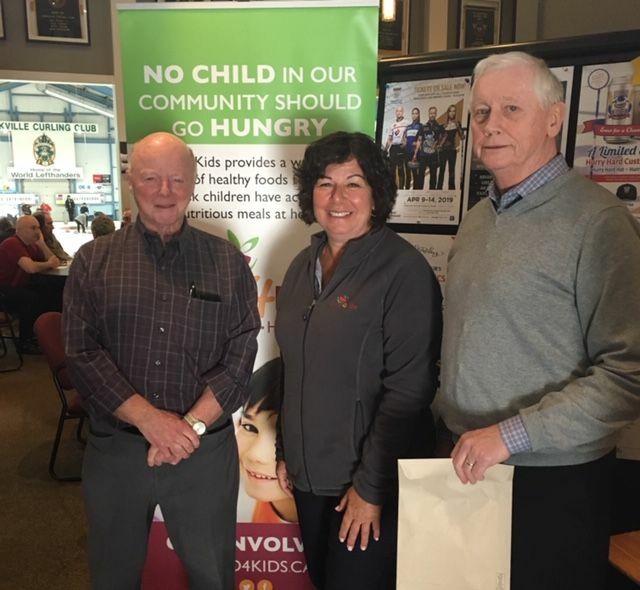 Committee chair - Fred Allo, Food4Kids Halton representative - Gayle Kabbash, and committee member - Peter Campbell.